Tryvge Many Guns is doing his best to finish off his rollercoaster junior hockey career on an upbeat note. 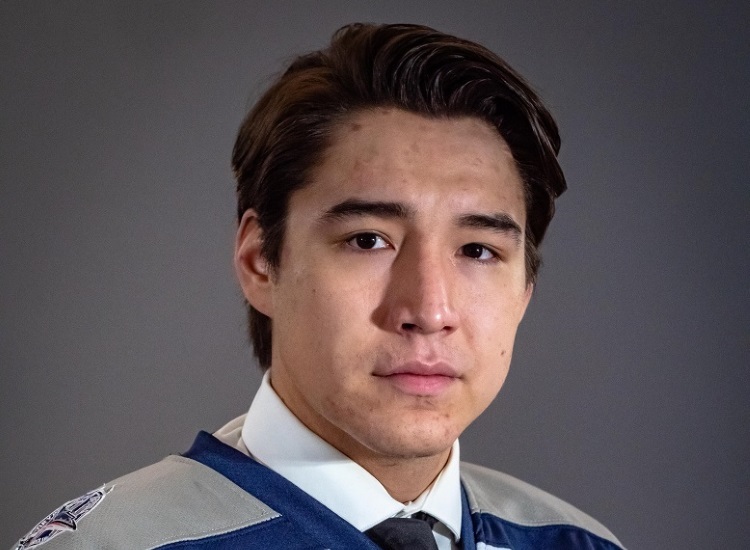 The 20-year-old forward, a member of Alberta’s Siksika Nation, is currently starring with the Dryden Ice Dogs, a northern Ontario Junior A squad that competes in the Superior International Junior Hockey League (SIJHL). For a while, the well-travelled Many Guns, who has suited up for six franchises in four leagues, was wondering whether to join the Ice Dogs or give up the rest of his final year of eligibility in the junior ranks. Many Guns has racked up 43 points (17 goals and 26 assists) in 29 games since joining the Ice Dogs this past December. The six-team SIJHL features three other franchises from northern Ontario. They are the Thunder Bay North Stars, Red Lake Miners and Fort Frances Lakers. The league also includes a pair of Minnesota-based clubs, the Thief River Falls Norskies and the Minnesota Iron Rangers. The Ice Dogs are the third squad Many Guns has suited up for this season. He began the 2018-19 campaign with the Opaskwayak Cree Nation Blizzard, members of the Manitoba Junior Hockey League (MJHL). But after just four games with the Blizzard he requested a trade because of the team’s poor start. He was dealt to another MJHL franchise, the Waywayseecappo Wolverines. Many Guns played 17 matches with the Waywayseecappo squad before being dealt again to Dryden. He played his first contest with the Ice Dogs in early December. Many Guns said he was constantly being shuffled around the Wolverines’ lineup, playing with different line mates most nights. Many Guns would have preferred to end up with a squad closer to his home province of Alberta, and when his rights were traded to the Ontario-based Ice Dogs, he had some initial hesitations about joining the Dryden team. “I was thinking of just going home and going back to school,” Many Guns said. Though he has graduated from high school, Many Guns thought he could upgrade some of his courses to increase his chances of getting into a college or university this coming school year. But the Ice Dogs’ brass sold him on the idea of coming to Dryden. Many Guns had an immediate impact with the Dryden squad, scoring a hat trick in his first outing. He also had an assist in his first game in an Ice Dogs’ jersey, a 12-2 victory over the Iron Rangers on Dec. 1. Besides scoring a hat trick in his Ice Dogs’ debut, Many Guns has also accomplished this feat once more. He scored three goals in Dryden’s 8-2 triumph over host Fort Frances on Feb. 24. The Ice Dogs, who have three regular season games remaining, are currently occupying fourth place in the SIJHL standings. Dryden has a 27-20-4-2 record. The league-leading North Stars have 32 more points thanks to their impressive 45-3-1-1 mark. But Many Guns believes the Ice Dogs are still capable of winning another league championship this season. Many Guns believes whether the Ice Dogs do indeed capture another league crown depends on which Dryden team shows up. Many Guns had kicked off his junior career with the Western Hockey League’s Regina Pats, a Major Junior franchise. Though he appeared in just three games with the Pats, those appearances made Many Guns ineligible to play university hockey south of the border in the highest calibre NCAA ranks. But he can suit up for an American team in another collegiate league. Though he does have some offers to join U.S. squads, Many Guns is leaning to playing for a Canadian-based university next season. “We’re going to finish up the season here first and then see what the best route is for me,” said Many Guns, whose junior career also saw him suit up for the Alberta Junior Hockey League’s Drumheller Dragons and Bonnyville Pontiacs.